Noise from RFI (Radio Frequency Interference) or EMI (Electro Magnetic Interference) involves lower voltages and less energy than is found in spikes, but it is continuous or transient. It is not likely to cause physical damage, but it can certainly be annoying, producing static in audio circuits, "snow" on video screens, or garbled data in computers. Noise can be introduced into AC lines by nearby radio transmitters, certain kinds of lighting, electric motors, and other devices. Because RFI/EMI noise occurs at higher frequencies than the 50 or 60 Hz AC line, it can be effectively reduced through the use of low-pass filtering. 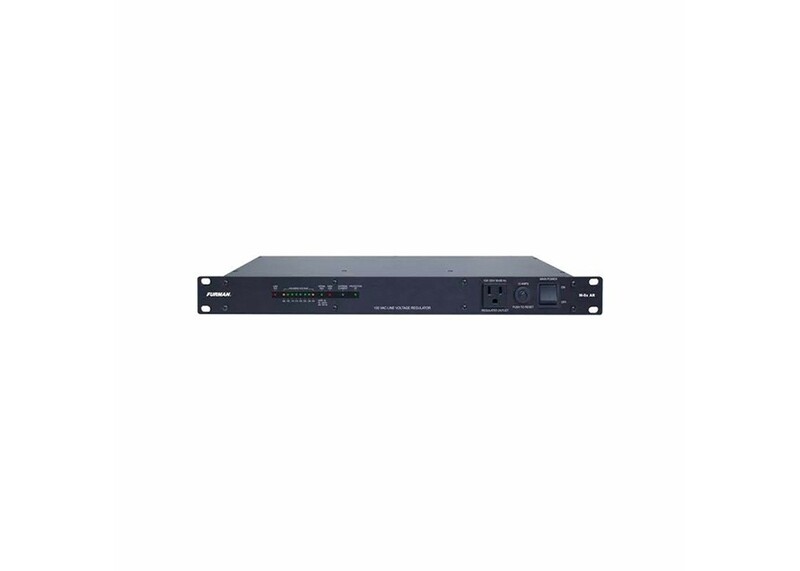 The M-8x AR includes special circuitry to sense over and under voltage conditions and either regulate or disable the output before damage can be done to connected equipment. Please refer to the specifications for the exact voltages at which shutdown occurs. When the input voltage falls outside the regulation limit, the power will cut off. Power will automatically be restored when the condition has subsided. The two red LEDs labeled "EVS" indicate a protective shutdown condition.